Considering what Jeremiah Jurich had just consumed in the past 22 minutes, his heart rate was surprisingly steady. His blood glucose level, however, spiked skyward. That was enough to impress the dozen or so teens who watched 22-year-old Jurich hooked up to a monitor recording his vital signs. 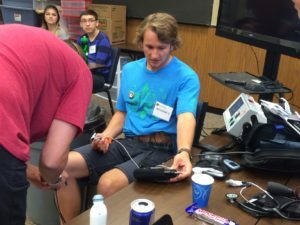 Jurich, an AmericaCorps Vista member working with Area Health Education Center of Southwest Oregon, had volunteered to be the guinea pig for the students enrolled in AHECSW’s High School Medical Exploration Camp. On this third day of the 10-day camp, the teens gathered at Umpqua Community College for a morning session led by UCC paramedics instructor Roger Kennedy. 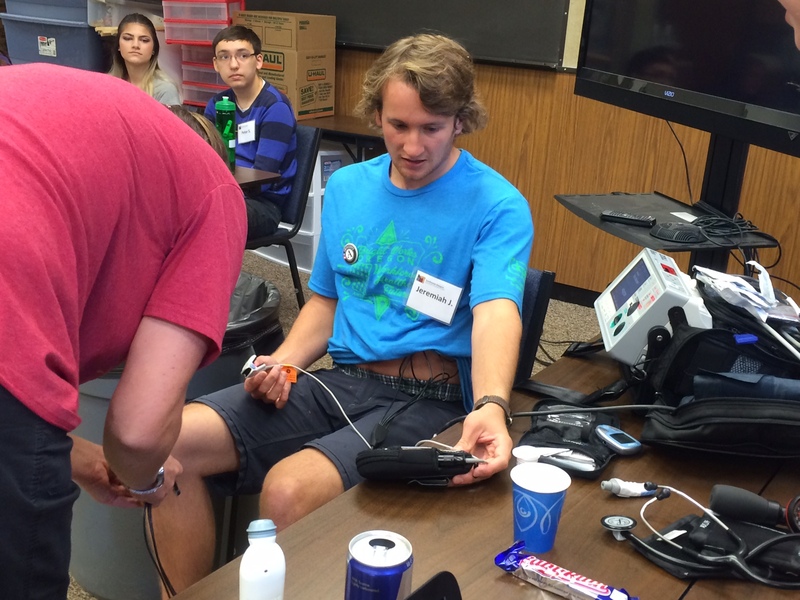 “The idea here is to how your vitals are affected by what you eat and drink,” Kennedy said as a student stood at a whiteboard to record Jurich’s pulse and heart rate, blood pressure, oxygen level, perspiration rate and temperature. The before-and-after rates showed what happened after Jurich consumed two Red Bulls, a Rockstar and a couple of Milky Ways – all preceded by his regular morning cup of coffee. He then ran around the Wayne Crooch building on campus a couple of times before getting tethered to the monitor. Jurich’s experiment was just one facet of Kennedy’s presentation. He talked about the importance of CPR certification, what to do if someone appears to be experiencing cardiac arrest, and why paramedics no longer automatically supply fluids to someone who has been bleeding. His remarks were interspersed with observations from his wife, Tawnie Goetz-Kennedy, who is the high school coordinator for AHECSW’s Roseburg office. The high school class was one of three that ACHECSW organized this summer through the Umpqua Valley STEAM Hub’s Expanding Horizon summer camps. 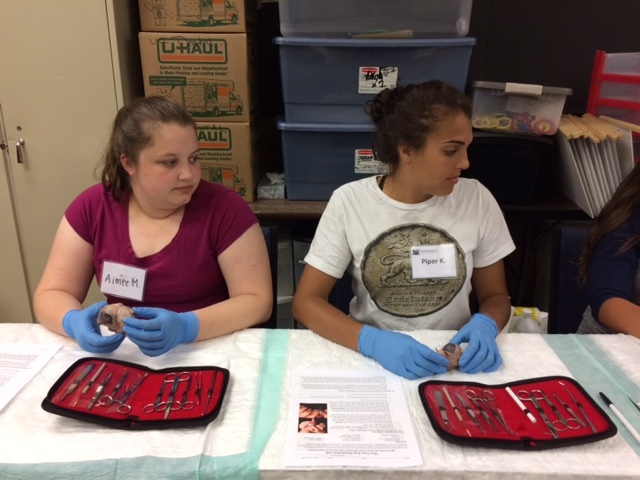 Goetz-Kennedy said 16 students participated in the Middle School Health Care Exploration camp, and another six enrolled in the High School Academy Camp. The latter was designed for students already participating in the Bright Works Organization afterschool programs or classes. Typically, about 30 percent of students who enroll in the High School Medical Exploration camp will go on to careers in the medical field, Goetz-Kennedy said. 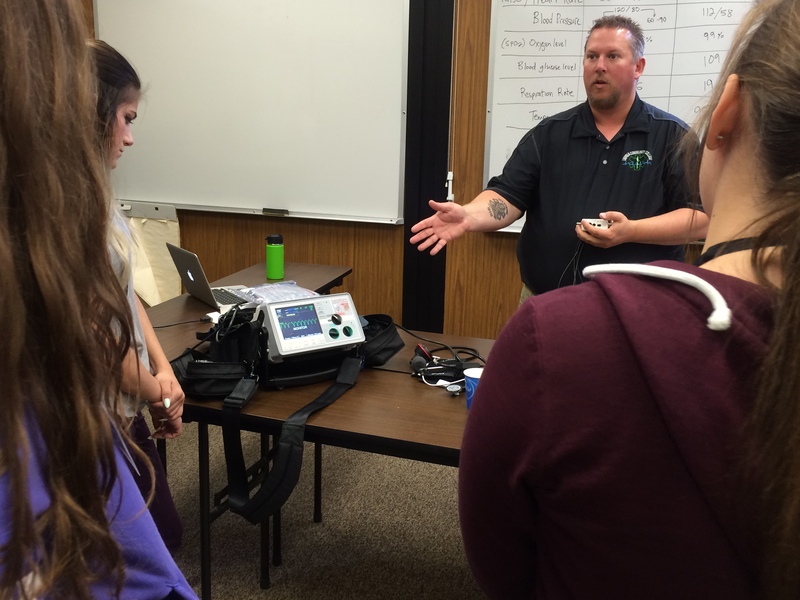 She added that AHECSW is planning classes this fall that will result in CPR/first aid certification for students at Sutherlin, Roseburg, Glide and Douglas high schools. College credit is available for some AHECSW courses. In addition, the group has a certified nursing assistant training program that enables students to go directly from the program to a CNA job. Following the morning session on paramedics procedures, high school students at UCC were slated to dissect cow eyes brought in by a local ophthalmologist. Though some might find it unsettling, Goetz-Kennedy said the students were looking forward to the activity. The camp was scheduled to conclude with a three-day, two-night field trip to Portland to explore several Oregon universities, Oregon Health & Science University and the National College of Natural Medicine.